Discussion in 'Themes and Skins (Palm OS)' started by Ohappydaye, Mar 27, 2008. Hope you enjoy them. Link to the PTunes download area, here. You will find them in the "Latest Additions"column, which is in the middle. There are other recently added ones, but these were just submitted within the last week. I should only have to LET the technology work for me. If I have to MAKE the technology work for me, it's not a tool - It's a boat anchor. And I've got better things to do than manage boat anchors, especially if I don't have a boat. I knew you'd want it the moment I saw it. Did I do good Joe-Boy, huh? huh? Did I? 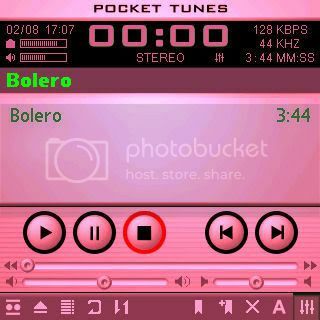 Get my OpenMoko Theme Package for Palm OS here! Just tested it - nice. 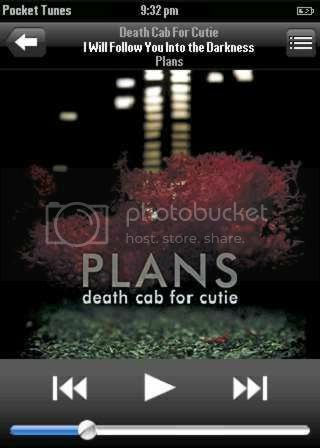 I like the pop down control when you tap on the Album Art. I'm still partial to my friend Church Punk's PhotoPro Ptunes skin included in his PhotoPro package. Which one, the pink one? I've seen a bunch of people linking it, but I found that it had been submitted officially to PTUnes when I checked to day... so I guess he/she has fixed it. BTW, that Pink one is just the Pocket Tunes 3 default High Fidelity skin with a pink twist. (I've outdone myself, three stupid posts in a row ). Edit: You broke my streak! I was referring to the iDevice Cover Flow one. I'm slowly working on it, but life keeps getting in the way. BTW, that Pink one is just the Pocket Tunes 3 default High Fedelity skin with a pink twist. I had no idea which one you were referring to, so thanks for clarifying. Hi there, I don't believe we've met. <extends hand> Welcome to Brighthand! I take it you are the developer of the first one I posted. VERY nice work! Welcome to Brighthand, Jupiter! I can't believe you showed up that quick!